Once the world became obsessed with Donald Trump, I did what it seems like few others who write about Trump have – I read his books, and this included The Art of the Deal. Although Art of the Deal was entertaining, like most books in the genre, it’s too vague to be applied to real life. Trump kept a diary of his daily and weekly activities, and it blew me away how busy he stayed. It also shamed me. Why wasn’t I working harder? I had good reasons for my time-management plan. Too many people have spazzy energy and lack focus. The problem most people have is doing too much, and not staying on task. Most people are busy for the sake of being busy, and aren’t focused on 80/20 (Pareto moves). I stayed on task, perhaps to a fault, and this slowed my growth. I needed to take a more Trump-like approach, and increase deal flow. My productivity increased, and that’s without a doubt because of Trump’s book. The downside to A Week in the Life is chaos. Chaos is part of a high deal flow lifestyle. For example, the first manufacturer for Gorilla Mind had to be fired. This set production back by 7 months. When you have a lot of projects ongoing, you don’t always know every detail about what’s happening, and that can lead to some confusion, and is stressful for most people. Most people in life want certainty. The irony is that certainty is another word for undiversified. Your one job or business is certain? It seems that way until you lose it. Life isn’t certain, and the way to mitigate uncertainty is to diversify your assets, income flows, and mindset. Those who demand certainty find it frustrating to work with me. “I don’t know right now,” and “We will figure it out” are mantras I live by. 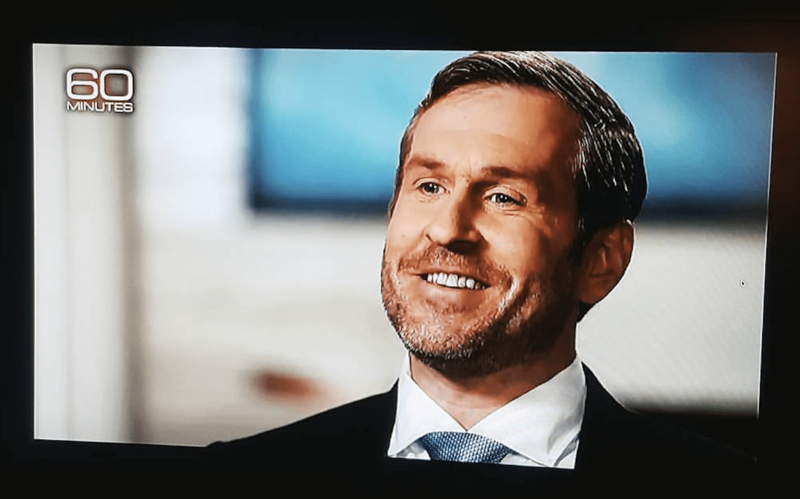 Cernovich does not have any large billionaire backers, yet look at what we have accomplished. This is because we are agile, we move fast, we don’t have fixed plans, we respond to changing battlefield conditions. To apply the OODA-loop in your own life you need to have the right mindset. 1. Observation. Sharpen your senses. Practice your skills of observation. Go for walks where you simply listen and watch. You will be amazed at what you see. Birds chirping. Couples feuding. Strange chalk marks in alleyways. Listen to your mind when you see something. Pay attention to the world around you. 2. Orientation. This is the big one. It means always striving to improve yourself be it through reading new books, listening to podcasts, or learning new skills. To orient effectively you must train your mind to recognize patterns, understand history and psychology, and even know your enemy. 3. Decision making: this one just comes with time, and with mentorship. This is why training schools exist in the military, or practice for sports teams. 4. Action. You need to strengthen your body. Lift weights. Get in shape. Eat right. Practice breathing. Everything described in Gorilla Mindset. This way your body and your mind will be prepared once you decide to take action. Be ready to take your lumps and losses. Trump’s companies plead bankruptcy a few times, although how many times is subject to debate. While some see these bankruptcies as evidence poor business acumen, others seek the bankruptcies as what you’d expect to find on a successful businessperson’s balance sheet. You do three deals of equal value, that is, you invest $100,000 in three businesses. Deal 1. You lose all of your money and the business files for bankruptcy. Deal 2. You lose all of your money and the business files for bankruptcy. Deal 3. You make a 10X return. “This loser pled bankruptcy twice,” is one way to characterize what happened. Another interpretation is that you have a net profit of $800,000. Both interpretations are true, which is yet another reason that much of what you read is simultaneously true and false. Human nature loathes a loss, and most can’t take the L and charge it to the game. The Sunk Cost Fallacy. The Misconception: You make rational decisions based on the future value of objects, investments and experiences. The Truth: Your decisions are tainted by the emotional investments you accumulate, and the more you invest in something the harder it becomes to abandon it. You’re also going to get a lot of hate from critics and losers when you take a loss. Your mindset must be to take the long view, and realize your life isn’t fixed at any given point. Don’t let the haters and losers get to you, and don’t be seduced by the fans. Keep moving forward! My favorite quotes from The Art of the Deal. The Art of Stress Management. In all of the talks I’ve given, no one has asked me the one question they should ask. Whether you love me or hate me, no one seems to wonder: How do you do it all? It is also hard to play at my level without nootropics, which are over-the-counter supplements that can enhance focus. I’ve tried them all, and recommended many over the years, including Neuro-1, alpha GPC, and many others. 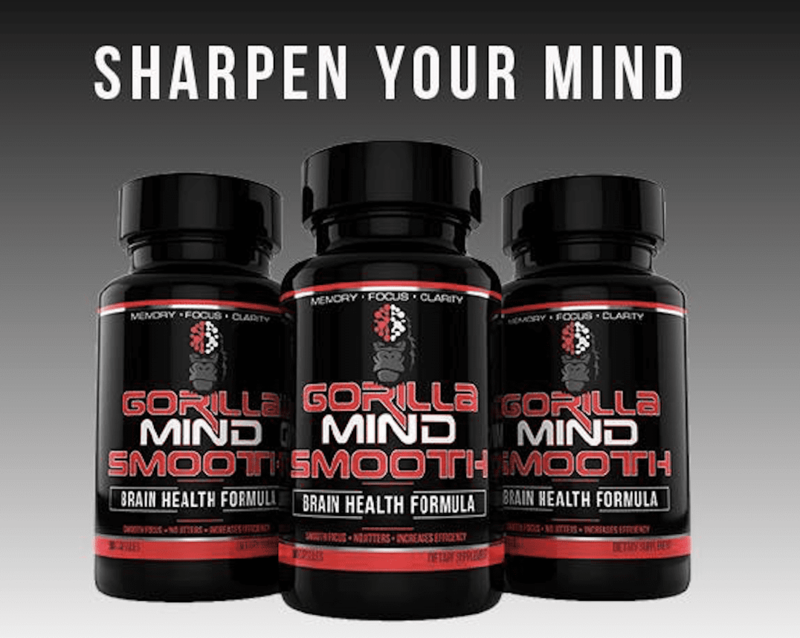 It took me four years to find a formulation to fight my lifestyle, and that’s why launched Gorilla Mind. When I wake up first thing in the morning, I take 3 capsules of Gorilla Mind and have some iced coffee (no sugar). I work for several hours before needing to eat or have a break. Research shows that taking tyrosine improves mental performance under stressful conditions These include cold-induced stress or noise-induced stress. Memory. Research shows that taking tyrosine improves memory during stressful conditions. These include cold-induced stress or multi-tasking. Improving alertness following the loss of sleep. Taking tyrosine helps people who have lost a night’s sleep stay alert for about 3 hours longer than they otherwise would. Also, early research shows that tyrosine improves memory and reasoning in people who are sleep-deprived. During college I’d drink some espresso and take a bunch of tyrosine powder, which is cheap to buy online at Amazon or at most stores. Vinpocetine is also cheap and effective. I would stack some vinpocetine with Alpha-GPC, as the Alpha-GPC can make the effect last longer. Gorilla Mind also contains Dimethylaminoethanol, which according to WebMd can improve exercise performance. I’ve found that, for me personally, it boosts the mind-muscle connection, and I have much better workouts when taking 3 caps of Gorilla Mind. You can pick up Gorilla Mind here. These products aren’t for everyone. A lot of people don’t like supplements, and that’s totally cool. Gorilla Mindset has nearly 1,000 reviews on the main Amazon page, and is suitable for all ages and genders.